Culture Drives Behavior | It's In The Sauce! I fear it is getting worse. While that thought can apply to more than one thing, you might wonder what “it” is in this article. While I could label what I’m referring to as “customer service,” and say that customer service is getting worse, and it is, that is not the “it” is to which I am referring. For “customer service,” or “customer disservice,” as I called it in last week’s blog post, is too general of a term for this subject. The “It” I am referencing in this post that is getting worse is attention to detail. I see it everywhere, I believe I know at least some of the reasons for the problem, and I recommend some solutions. Examples include people implying they hear your instructions clearly, act like they will meet your request, then do not. Last night at dinner it happened again. 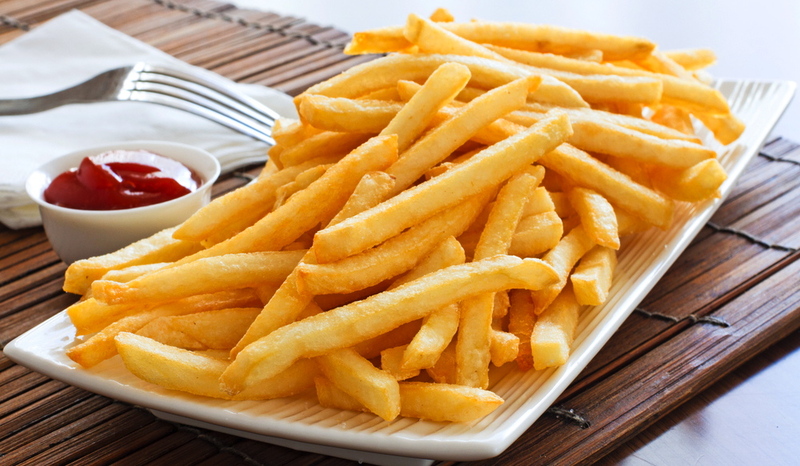 Several of us were out for dinner at our neighborhood “Cheers.” Since too many times the fries are delivered cold, we told the server to please make sure the fries arrived hot, or we would send them back. We were not trying to be difficult; quite the contrary. In addition to wanting quality food, we were trying to save the restaurant time and money. All to not avail, for the fries were delivered lukewarm. True to our word, we sent them back, and were fairly quickly served delicious hot fries. I don’t think this problem would have occurred at Chick Fil A. Not that a problem with food quality never occurs at Chick Fil A, for no one and no establishment are totally error free, but it is rare at Chick Fil A for the food to be less than expected on any level. And that is not just an opinion of mine; many people use Chick Fil A as the best example of many good things. What creates the difference between our neighborhood “Cheers” and Chick Fil A? Culture. While our neighborhood place does many things right and we support them a lot with our presence and money, they make too many mistakes like the one mentioned. And while those mistakes cause us momentary delays and frustration, what it costs the restaurant in wasted food and staff time is significant. My friend Pam just returned from an upscale cruise, and was giving examples of that culture. Politeness, attention to detail, all requests met promptly and at a high level of quality, etc. Culture stuff. I could not help but compare that to a cruise I took some years ago, and my cruise experience came up short. The difference isn’t just cost; that is too simplistic an answer. The difference is culture. The upscale cruise has a clientele that expects a high level of quality, and the cruise line culture delivers that, while my cruise experience was on a cruise line that appeals to a clientele more interested in best price than exceptional experience. (I have not, nor will I travel on the cruise line I experienced again. I have taken several other cruises since then, all different, but all acceptable.) Culture drives behavior. Other than the obvious, hire the right kind of people and train them well, how does a business create the right culture for their customers? And what are the challenges in doing so? The answer lies with leadership, for the leaders of an organization are the ones who establish the culture, by design, either intentionally or unintentionally. And the culture stuff starts with Values. And not Values printed on the wall, but the “walk the talk” values. If teamwork is listed as a value and people work in silos, teamwork isn’t a value at all. If empowerment is listed as a value and management controls all of the decisions, empowerment isn’t a value at all. What are the challenges in creating a culture in which attention to detail, the detail most important to each organization’s customers, is a value? One significant challenge is that younger people (and many service workers are younger) do not have a focus for the attention to detail needed. Think about it. The technology driven world in which younger people live values speed more than focus, with the average attention span of Gen Zs (those born since 1995) being 8 seconds! (Credit to Demand Worldwide for this fact.) They consider texting is conversation, and it is, but not face-to-face in which the nonverbal helps deliver the right message. Back to my restaurant experience last night. The server was pleasant and attentive. She gave the impression that she cared. I think she listened and heard our request for hot fries. I don’t think she delivered the message to the kitchen, nor even noticed that the fries weren’t hot before she delivered them to us. She probably assumed that of course the fries would leave the kitchen hot, and failed to notice that they weren’t. I consider this an example of lack of attention to detail and lack of focus. It is also possible that she listened but did not hear, or that she heard, and failed to take initiative, accept responsibility and/or follow through. Regardless of the reason (s,) money and staff time were wasted. Culture drives behavior. In this post the focus is on the “What” and “Why.” And this is certainly not an all inclusive analysis of either. Next week’s post will be on the “How,” how to create the right culture. As always, I invite and welcome your thoughts. And thank you for honoring me by reading my thoughts.